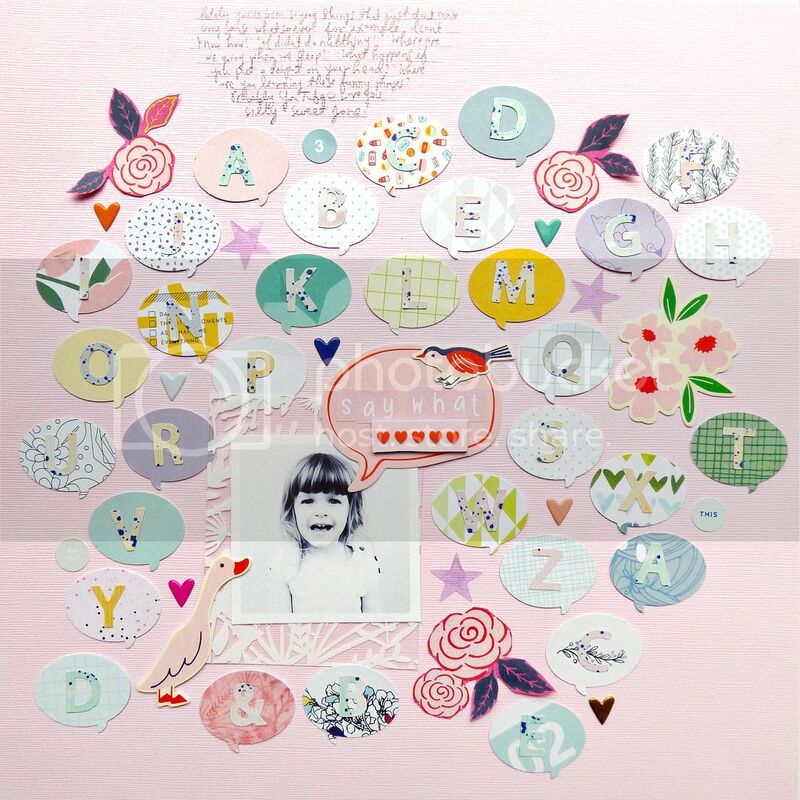 DESCRIPTION: This layout was inspired by the rainbow hearts paper in the Sonnet scrapbook kit! I saw them, fell in love with them, then fussy cut them. JOURNALING SAYS: We are so incredibly proud of you for finishing three years of pre-school! Bring on kindergarten! You are so smart and love to learn and ask questions and you're already such a great reader! But most of all you love to color which warms our artsy hearts. HOW TO: Fussy cut all the hearts. Cut a heart from scrap cardstock and use it as a template to draw three hearts on a white cardstock background. Fill in the big hearts with the colored hearts then hand stitch around them using white floss to help define the edges. 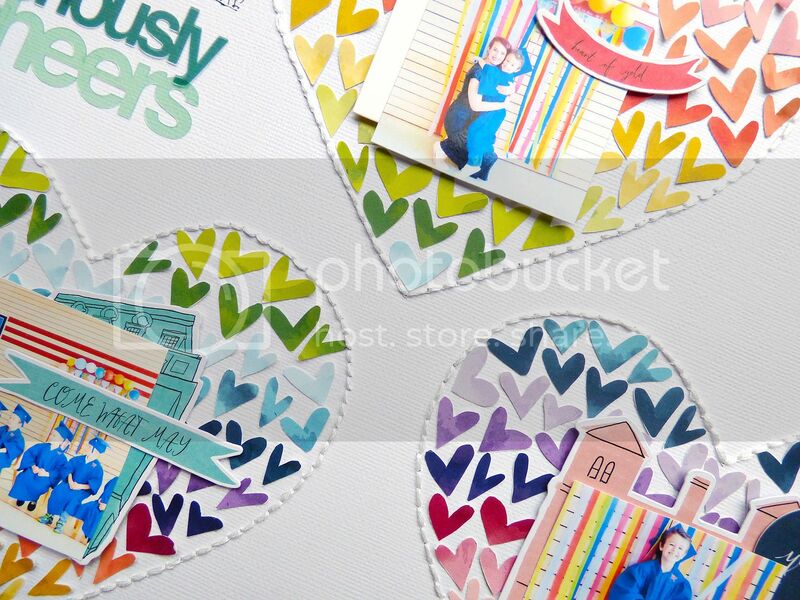 Place a small photo in each heart layered on a die cut and embellished with more die cuts. 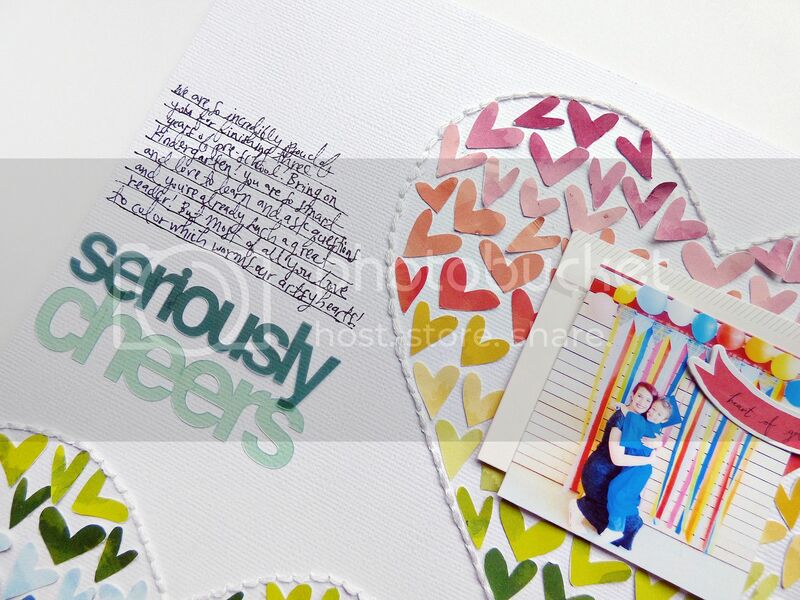 Add "seriously cheers" transparency words on the left and journal above. JOURNALING SAYS: Lately you've been saying things that just don't make any sense whatsoever! For example: "I can't know how!" "I didn't do nutthing!" "Where are we going when we sleep?" "What happens if you put a teapot on your head?" "Stop coffeeing me!" Where are you learning these funny phrases? Probably YouTube :) Love you silly sweet Jan! 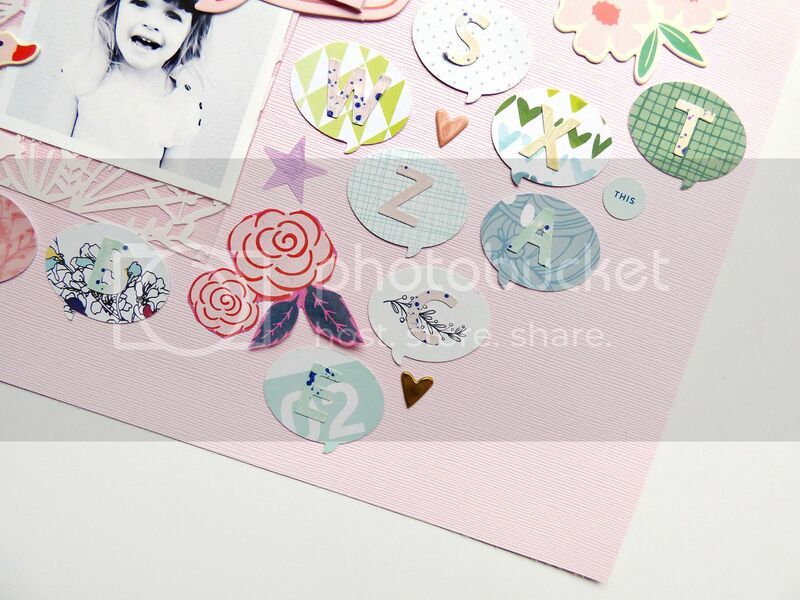 HOW TO: Punch speech bubbles from the Documenter cards and then adhere them to a pink cardstock background. Make room for a photo and layer it over a floral transparency. 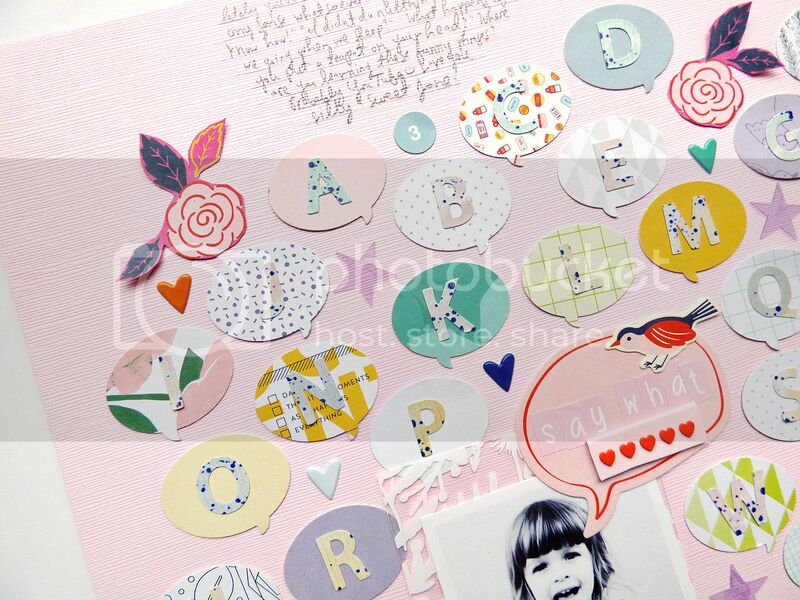 Add a letter sticker to each speech bubble and add fussy cut flowers, die cuts, stickers, star die cuts, and puffy heart stickers to the mix. Journal with a pencil at the top. Fun to play along again with the Studio Calico kits! Love love love love these!!!!! LOVING how you used the alphas on the second one!!!!!!!!!!! !